One of the most popular projects for a homeowner is a bathroom remodel. Nearly everyone who has lived in their home for a few years eventually gets the itch to makeover their bathroom, whether it’s because the lime green tiling has finally gotten to them or because there is simply not enough storage space for their growing family. 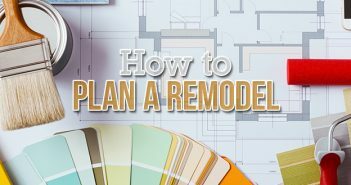 Reasons aside, it’s important to think before you demo, especially since the average cost of a bathroom remodel is as high as $10,500. 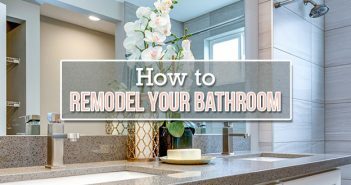 If money is a potential constraint for your bathroom makeover, consider using these five tips for a budget bathroom remodel to help keep your costs down while still realizing the bathroom design you desire. A great way to make room in your bathroom remodel budget is to limit the use of tiles. Instead of redoing your entire wall and floor in tiles, use them for the bathroom floor only. This will keep your costs way down, and you can still add some color to your walls with a little paint. Solid-color tiles are also an easy way to save more, but if you desire a more artistic tile pattern you can buy some decorative tiles and use them as a wall accent and then paint the rest. Of course, the easiest and greatest way to save on updating your bathroom’s appearance is to paint the walls rather than using tiles or paneling. However, painting a bathroom is not like painting your living room. Because it’s a smaller room with a lot of fixtures, you’ll end up spending a long time painting around the mirror, windows, cabinets, toilet and every other bathroom feature. Though you will save money, you may end up spending a longer amount of time painting than you first anticipated. Updating your fixtures is a big part of a do-it-yourself bathroom remodel, but your fixtures can also be a great place to cut costs. Focusing on little things like faucets and drawer pulls can really improve the appearance of a bathroom with a very small investment. Some cost-cutting ideas include reusing materials from other projects or parts of the house. One potential idea is to use copper piping to replace your drawer pulls, giving your drawers an update without buying new ones. For faucets and sink elements, you could follow this idea featured in This Old House. At a cost of just $25, you can use Rust-Oleum to give your old faucets an oil-rubbed bronze look. The secret to a low-cost bathroom remodel is to look at the little things, like the grout between your tiles. Grime and grease tend to build up on shower tiles and in the spaces between the wall and tub enclosure. You can quickly and cheaply clean the grout and add a fresh layer of caulk along your tiles, giving your shower or bathtub a squeaky clean look at a cost of just a few dollars. Though a bathroom remodel is about creating a new design, the individual fixtures don’t have to be new themselves. There are plenty of stores and online outlets where you can find used fixtures and building materials, such as Habitat for Humanity’s ReStores. You can even find bathroom elements on eBay, everything from faucets to lighting fixtures, and even cast-iron bathtubs. All of which can be had for less than retail value, saving you a pretty penny on your budget bathroom remodel. The real key to a low-cost bathroom remodel is to use expensive materials sparingly and get creative wherever your bathroom design allows. The results will surprise without leaving you in the red. 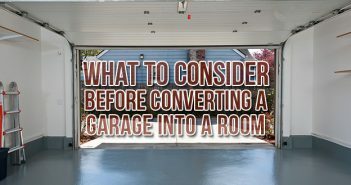 For more home improvement tips, check out our DIY home improvement guide containing over 40 DIY how-to’s for the entire home.